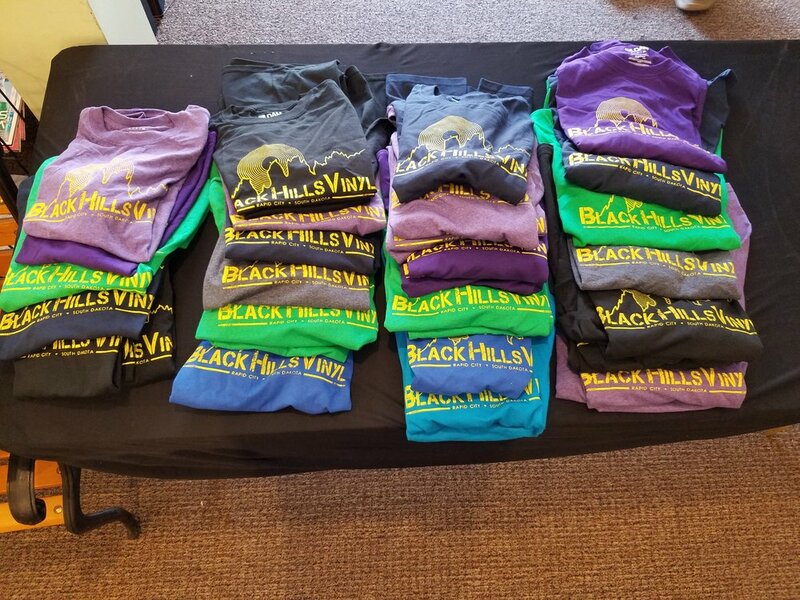 Our friend Tony hooked it up with over 100 new, locally printed Black Hills Vinyl T-shirts. We’ve got tons of sizes and color combinations to fit your wardrobe. If we missed you the past couple weeks, let us know what you want and we will work out shipping it to you cheap.